Cozy cabin by the meadow, corner lot. Built in 1931, is one of the original homes in Meadow Lakes. Original hardwood floors and claw foot bath tub. New septic tank. Ideal location for a mountain retreat. 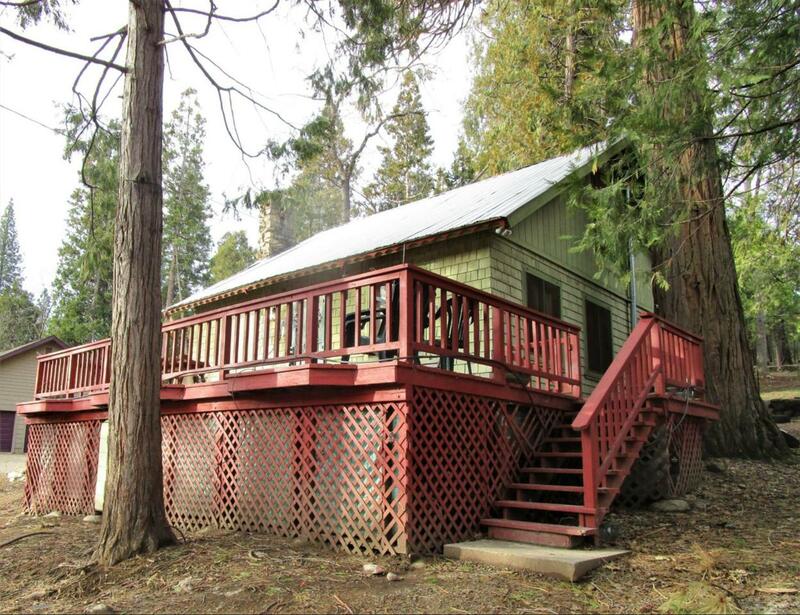 Walking distance to ponds, short drive to Shaver Lake and easy commute to town. At 4200 ft. elevation, enjoy the light snow in Winters with a warm fire in the wood stove insert and cooler Summers out on the large front deck. Community pond offers a good size picnic area with tables, BBQs, fishing, play area for the kids, horseshoes and volleyball. Great for gatherings with family and friends. With a little TLC, this classic cabin can shine again! Come take a look!